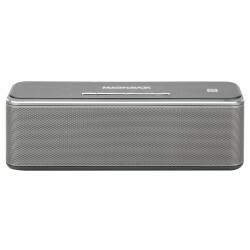 The Magnavox MMA3629 DSP 360 speaker delivers a premium audio experience with a richer sound than you'd expect from an ultra-compact speaker that fits in the palm of your hand. Connect to your smartphone, tablet or other audio device via Bluetooth or the Aux port to listen to your music, videos or games wherever you go! 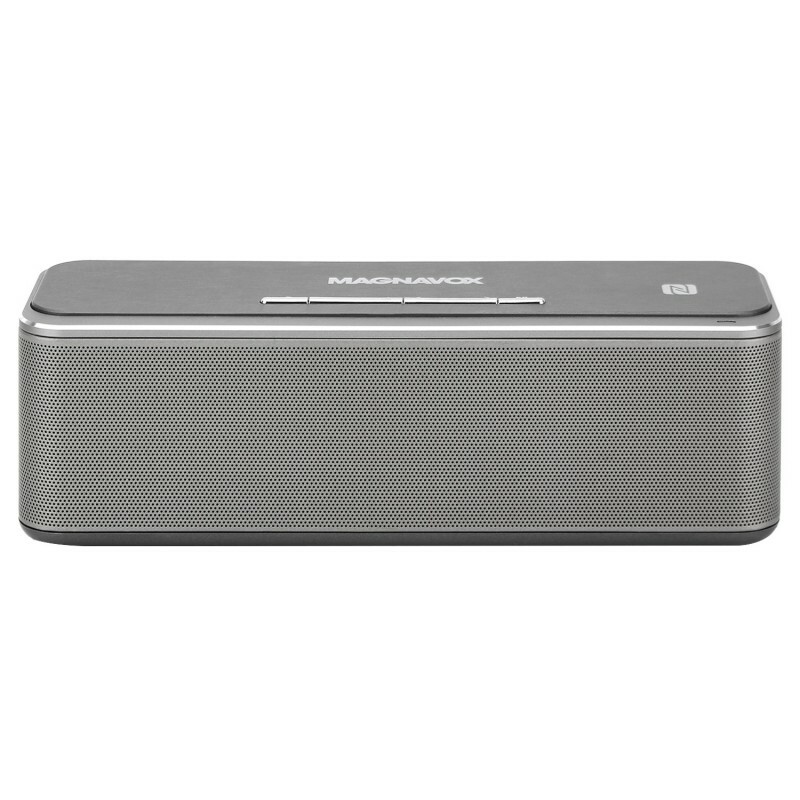 Small and light enough to carry wherever you go, the Magnavox MMA3629 DSP 360 speaker weighs just 1.5 pounds! 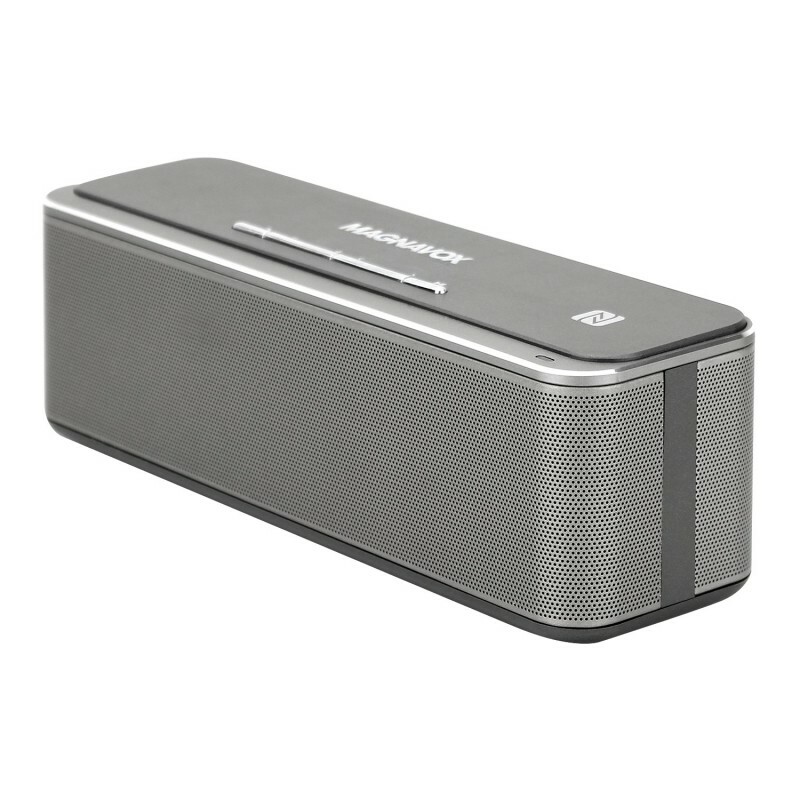 The rechargeable lithium-ion battery delivers up to 10 hours of playtime, or listen indefinitely while charging. The integrated NFC makes syncing with your smartphone, tablet or Bluetooth device a snap, giving you a seamless audio experience, no wires needed. You might not expect rich sound from a speaker of this size, but the MMA3629 DSP 360 boasts an advanced DSP (Digital Signal Processing) technology for hi-fi sound reproduction. 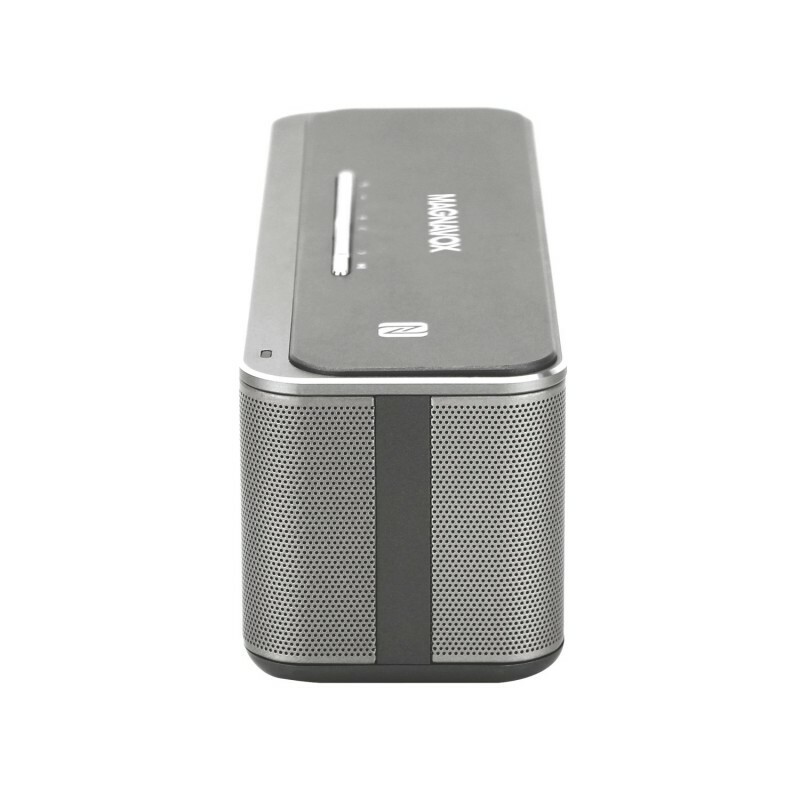 With heart pounding bass and a virtual 360-degree surround sound effect this speaker lets you experience your music like it was meant to be heard, no matter where you go.